I met my friend Chris a couple years ago when he was working at the Vancouver Police Museum and I was writing my first-ever post for Vancouver Is Awesome about it. Soon after, he told me about how he’d recently reconnected with is high-school love. And this weekend, he and Kyla are getting married. We can’t go to the wedding, which is a very sad fact, but I’ll be there in slightly-more-than-spirit because I made a shawl for Kyla to wear when the evening chill sets in. It’s a fairytale craft story, really. You know how you have friends and family who don’t make the same kinds of stuff you make? And sometimes they don’t really get it when you make them something? Or they ask you if you could make them, like, a dozen hats for their office-mates for Christmas, and they have no concept of the work or time that goes into achieving such a feat? Well, about a month ago I got an email from Kyla, telling me she realized she wanted a crocheted shawl for her wedding, and could I point her in the right direction. It was a couple weeks before Vancouver Mini Maker Faire, I had a slew of work deadlines, and my parents were going to be in town for a week and a half. But I had a feeling. So we had a conversation. It was the perfect craft request. It was special. Kyla got it. She knew her shawl would be handmade. She knew it would take time and skill. She knew she would feel the shawl is special. And I love these two people. Even though I don’t really even know them very well, I love them. And so it was a no-brainer. 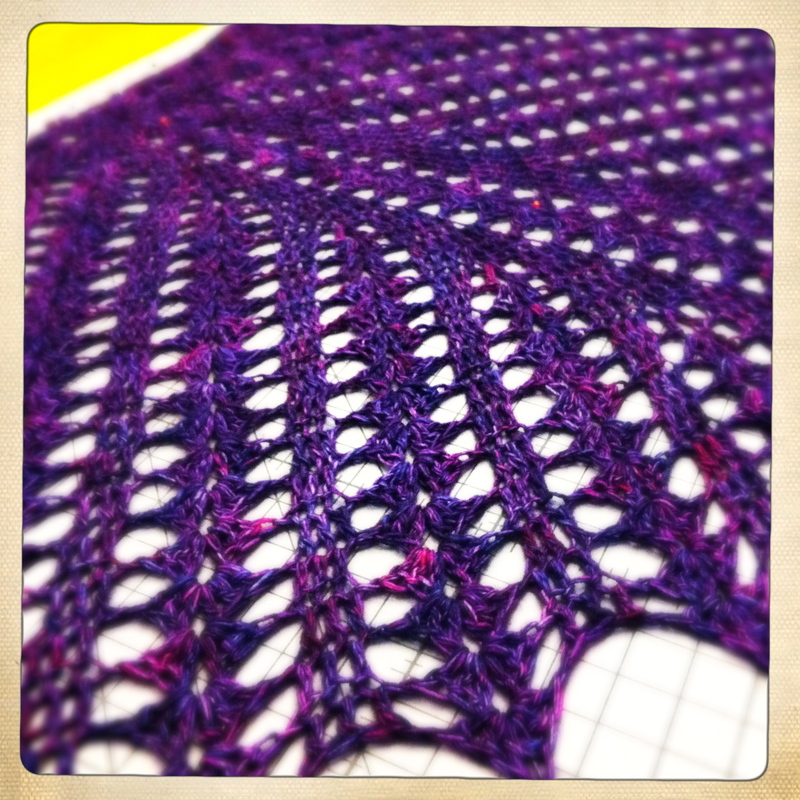 Of course I would make her wedding shawl. I even knew, somehow, that it wouldn’t stress me out in the slightest. I doubled the yarn and started that very afternoon. Here are all the project details, on Ravelry. 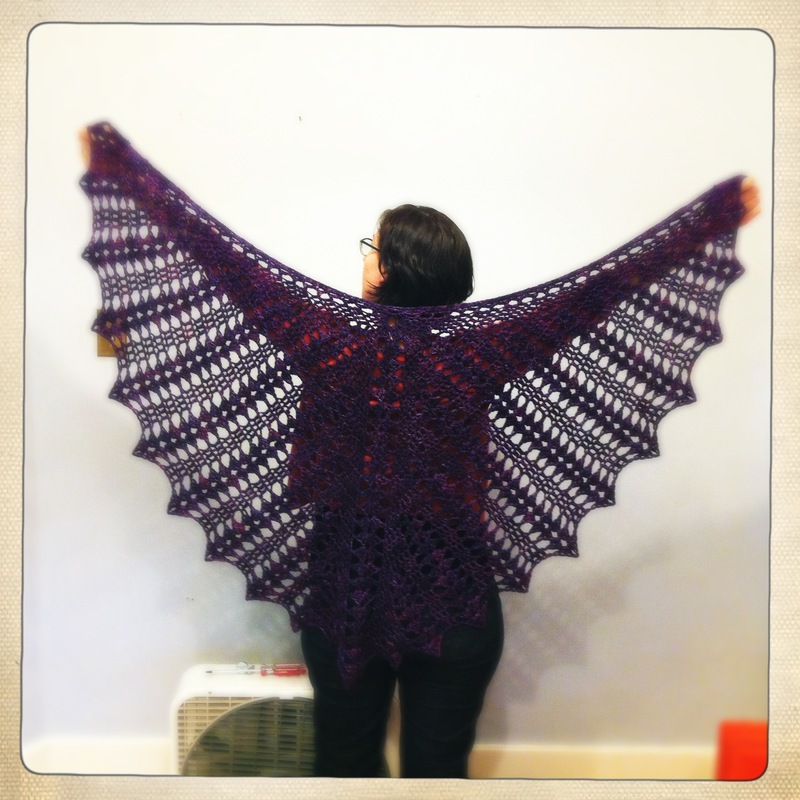 I gave the shawl to Kyla and Chris on Tuesday, and begged for a photo of her in it from the wedding. If I can, I’ll post one here when I get it. Here’s wishing Chris and Kyla a blissful wedding full of love and celebration, and a happily-ever-after life together. Connecting with people like that is awesome – it’s very cool that you celebrated that & their wedding with handmade! 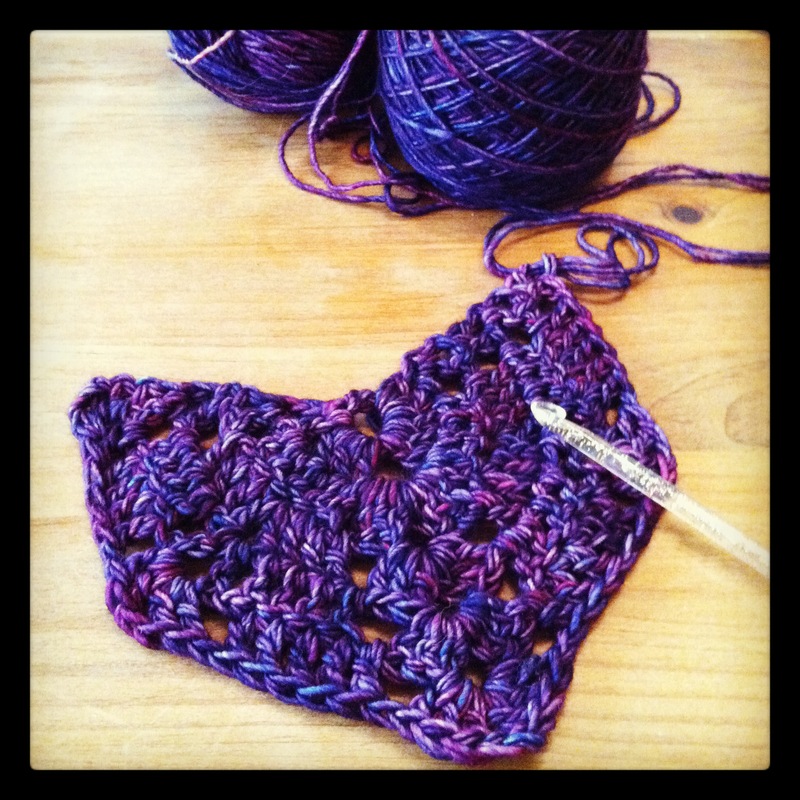 Lovely shawl, can’t wait to see photos of it in use!